On July 7, 2017, the Court of Cassation ordered the transfer of the case won by Paul François against Monsanto back to the Court of Appeal on the grounds that the legal basis should have been that of liability for defective products and not common law liability. The pleadings will take place on February 6, 2019 at the Court of Appeal of Lyon. Justice Pesticides echoes the call for mobilization to support our friend and board member, Paul François, launched by the association Phyto-Victimes, partner of Justice Pesticides. The pleadings in the case of Paul François against Monsanto will take place on Wednesday, February 6, 2019 at the Court of Appeal of Lyon. Paul François is a farmer from the Charente region, whose life has completely changed on April 27, 2004. 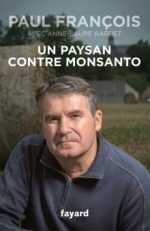 While cleaning the tank of his sprayer, Paul François accidentally inhaled the vapours of Lasso, a herbicide (now banned) from the Monsanto company. Months of hospitalization, loss of knowledge, comas, very violent headaches followed… without the medical world making the link with his intoxication. Some doctors would even blame him for deliberately “taking drugs” with the herbicide…. It is through the tenacity of his wife, family and scientists that the link is made between his intoxication and his health problems. Today, he still suffers from serious neurological disorders (headaches, loss of consciousness, hospitalization…) which sometimes prevent him from getting up, working and living normally. Paul François, after having obtained recognition of the professional nature of his illness, decides to engage in another legal battle in 2007, against Monsanto, for “lack of information on the label and failure to respect the duty of care”, with his attorney, Maître François Lafforgue (Teissonnière-Topaloff-Lafforgue-Andreu & Associés law firm). After winning the case before the Court (February 2012) and the Court of Appeal of Lyon (September 2015), the Court of Cassation overturned the decision of the Court of Appeal on the grounds that the legal basis should be that of liability for defective products and not common law liability. The High Court referred the case back to the Court of Appeal of Lyon, otherwise composed, which will rule on February 6, 2019. The Phyto-Victims association launches a call for mobilisation in order to support him on Wednesday, February 6, 2019 in front of the Court of Appeal of Lyon (1 rue Palais de Justice 69005 Lyon) from 1pm. Justice for victims of pesticides is possible! To download the call for mobilization (in French) from association Phyto-Victimes, click here.